Have you ever wanted to run a vineyard in Portugal? Vinhos has you covered. Vinhos is a game of trading and economic winemaking, taking place over six years. Cultivate your vines, grow the best grapes, harvest, sell, and make maximum profit. The deluxe edition includes brand new art, improved rules, streamlined gameplay, and a double sided board with both version of the game. 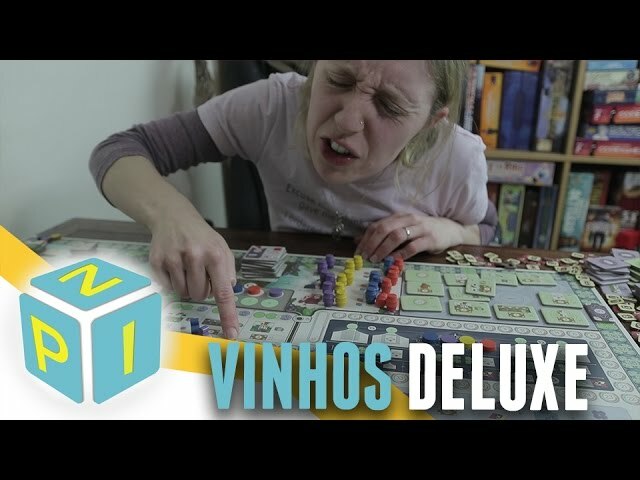 New components, new regions, and several expansions - buy Vinhos Deluxe for the authoritative experience of this thematic euro style game.